Egypt is the latest country to build a new capital city from scratch, with ambitions to move parliament away from Cairo as early as summer 2019. With nearly 24m people living in Greater Metropolitan Cairo, the current Egyptian capital suffers from severe congestion and overcrowding – problems which the government claims the new capital will resolve. Egypt joins more than 30 countries or regional states, which have relocated their seats of power to new cities designed from scratch: Brazil, Australia, Kazakhstan and Nigeria are among the most famous examples. Built on a site located 45 kilometres east of Greater Cairo, the city will feature a new presidential palace, a new parliament, a central bank and business district, an airport and a massive theme park, alongside housing for 6.5m people. Egypt’s new capital, marked in yellow. Google Earth. But while new political capitals can be symbols of national identity and tools for development, the successes and failures of these mega projects have always been topics of much debate. Perhaps the most famous example is Brasília: designed to embody the progressive, egalitarian ideals of 1950s Brazil, today the city is marred by urban segregation and inequality. The metropolitan area of Brasília has two distinctive areas: the Pilot Plan – the well known urban design by Brazilian architect Lúcio Costa – and the satellite cities, which have replaced the many informal settlements built by the construction workers who worked on the Pilot Plan. Less than 10 percent of Brasília’s population lives in the Pilot Plan. The area was carefully planned to host the federal government, its civil servants and the intellectual elites. Costa dreamed of creating a just city, where the different socioeconomic groups of Brazilian society would be represented and share equal access to the city. The plan failed to live up to Costa’s vision. Poorer families were forced to move out from the Pilot Plan as early as the late 1950s. The government set forth relocation plans, using environmental, health and even construction issues as technical justifications to locate new satellite cities further away from the Pilot Plan, while showing little regard for those affected. For example, residents of the Amaury settlement made their homes on the site for the planned artificial Lake Paranoá – in the knowledge that they would one day need to move. But rather than being relocated by the government in a fair and organised way, residents were forced to flee their homes with only a few days warning, as the lake began to fill. To this day, kitchen utensils and other household objects can be observed among the ruins under the lake – evidence of the rushed escape of residents. Relocated to satellite cities such as Ceilândia, more than an an hour and a half from the Pilot Plan by public transport, low-income families had a harder time finding work and taking part in civic life. A 1987 proposal by Costa to review the Pilot Plan and include neighbourhoods of affordable housing was never fully delivered. The lack of access to basic public infrastructure and the spatial segregation – imposed first by the relocation programmes, and later driven by the private housing and job markets – were and still are the main drivers of inequality in the city. 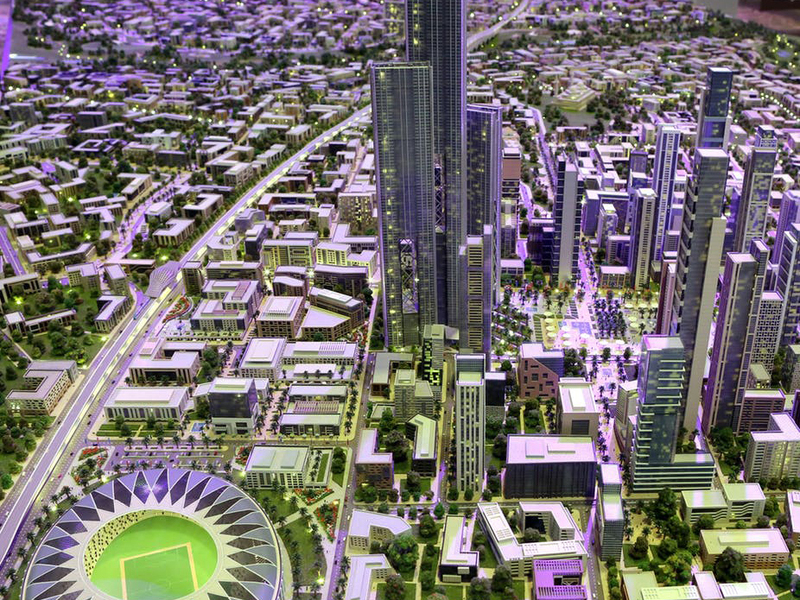 Egypt’s as yet unnamed new capital is intended to have a range of different land uses. Phase one is focusing on the government district and residential areas, with a large supply of public facilities and green and transport infrastructure. Although the plans include affordable housing, average prices are beyond the reach of an average public worker. The attractive character of the developments in the new capital will make housing developments near the new city increasingly unaffordable. The government has a policy in force to control the price of land every six months. So far, the price of land has only increased. This approach is not an effective way of ensuring that housing in the new capital remains affordable for Egypt’s lower income citizens. There’s a real risk that the new city will replicate the historical trend of spatial segregation, which can still be observed in Cairo today. Historical spatial segregation in Cairo. Aya Badawy, Hassan Abdel-Salam and Hany Ayad. As a result, low and middle-income families will search for housing on the peripheries of the new capital, leading to the development of poorly planned, poorly connected settlements, which will only reinforce urban inequality. The excitement of a brand new capital and its image as a clean, organised, smart and sustainable city must not overshadow the need for a balanced, diverse and fair community. The planners and authorities involved in the new Egyptian capital should look to Brasília: there, it is evident that policies to provide affordable housing and access to jobs and opportunities within the new capital could have avoided the relocation of the poorer in the peripheral satellite cities. If it’s to succeed, Egypt’s new capital must stick to the principles of an inclusive city, where all citizens can come together and share the city and its opportunities. This was the most important design principle for Costa – but without meaningful policies to support low income residents, it could not endure in the Brasília he so beautifully created.